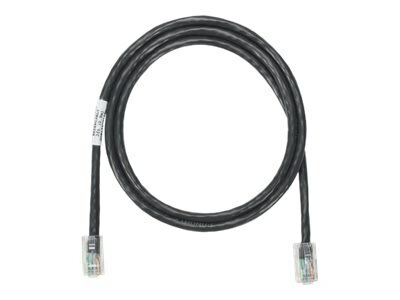 Category 5e/Class D patch cords are constructed of UTP 24 AWG stranded copper cable and a modular plug at each end. Patch cords are used in all work area outlets and patch panels. Patch cords are wired to be compatible with both T568A and T568B wiring schemes.